The moving industry is typically characterized by a high turnover rate, particularly among cheap moving truck rental companies. Despite the volatility, one company appears to have broken a record of sorts as MovingTruckRental.com announced its fifteenth anniversary this morning. Internal analysts for the company consider this celebration as a major milestone in an otherwise unstable market. “We have been successful for over fifteen years in an industry where fifteen months would be considered a major milestone,” says Mark, an analyst with MovingTruckRental.com. The company has survived various business cycles and has served over 10,000 customers during its fifteen-year existence. The company reports to have saved millions of dollars for its customers by offering fast and easy-to-use comparison tools for researching and selecting moving truck rentals. MovingTruckRental.com enjoys a nationwide presence and is considered a trend-setter in terms of introducing new technologies and tools. “We are very proud to have achieved this benchmark and attribute our longevity to our loyal customer base and extremely ethical business practices. Our success is based on a very simple premise: We help customers save money by comparing cheap moving truck rentals. Allowing our site’s users to compare multiple quotes in one place translates into substantial savings for our clientele. Add to that our dedicated customer service team and a solid knowledge base and you have an unmistakable combination for success,” says Calvin Davis, CEO and founder of MovingTruckRental.com. MovingTruckRental.com is a unique site that offers customers quotes for a variety of moving needs. 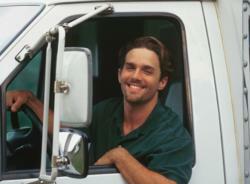 The company’s website features a database of thousands of cheap moving truck rental companies. With just a few clicks and a short thirty-second application form, customers can save hundreds of dollars on their move. The site features a host of tools, including social media connectivity, hundreds of knowledge base articles, and a dedicated customer service team that supports customers through all aspects of the process from start to finish. The company was established fifteen years ago by Calvin Davis and his initial team of employees. Since then MovingTruckRental.com has grown at a record pace and has introduced several platforms and tools to enable its site’s users to compare and save on cheap moving truck rentals. For more information and to request a quote, visit MovingTruckRental.com.